It’s all too common: full lots of injectable drug products are rejected or recalled because of visible particulates. Particulate contamination attributed to incompatibility between elastomer components and injectable drug products can be a source of risk and variability, potentially compromising the quality of the drug and the safety of patients. Such contamination can also impact a drug manufacturer’s bottom line via increased costs, lost batches and manufacturing inefficiencies. Furthermore, product recalls can have a negative impact on patient confidence, shareholder value and market share. This scientific, risk-based approach is fast becoming an essential strategy to bring high quality therapeutics to market quickly and efficiently. A QbD approach delivers an improved, data-driven output, providing manufacturers with superior product and process understanding that minimises risk, emphasises patient-critical quality requirements and preserves drug product effectiveness. In an industry in which patient-centricity is paramount, quality must be top of mind from the very beginning. The adoption of QbD principles in the design and manufacturing of packaging components can help to ensure that a drug’s packaging is designed to meet these stringent expectations. The introduction of biologics into the treatment landscape has had a tremendous impact on innovation in drug packaging and delivery systems. 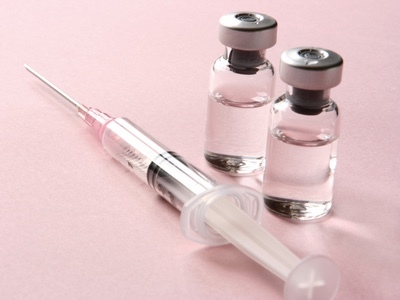 Because biologics are typically more viscous than traditional drugs, often require larger volume doses and are frequently paired with auto-injectors and other self-administration systems, they present unique challenges in drug containment and administration. 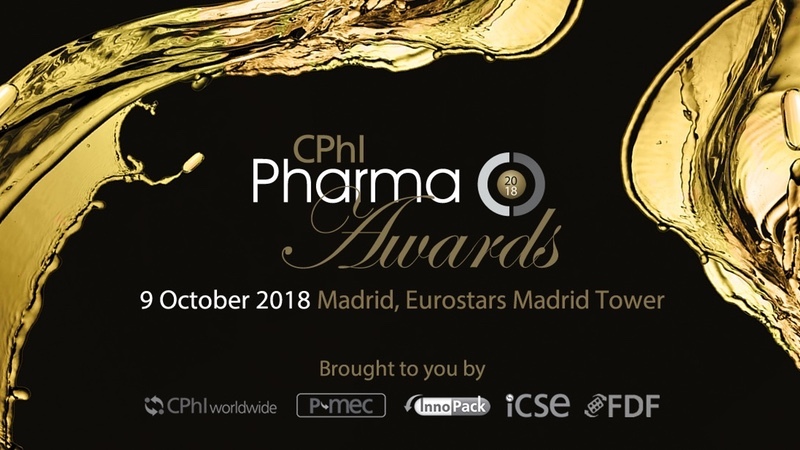 With a growing pipeline of biologics — and now biosimilars — coming onto the market, the need for safe and effective packaging that addresses both the specialised characteristics of injectable biologic drugs and the high-performance requirements of self-administration systems is now a critical prerequisite for biopharmaceutical manufacturers. It is essential for biologics makers and their packaging partners to fully understand the interaction between the four key elements of an effective drug delivery system: the drug, the container, the delivery device and the patient. As part of an integrated delivery system, packaging components play an important role in drug quality, patient safety and device performance. They, therefore, must be given careful consideration as part of the entire drug development process. The highest levels of quality need to be employed to deliver a drug product that meets the needs of patients, healthcare professionals and regulatory authorities. Drug packaging manufacturers can play a significant role in meeting this objective. They are responsible for component design, whereas the drug sponsor is responsible for determining the components’ suitability for intended use. They can also help to ensure regulatory compliance as well as facilitate continual improvement throughout the development and manufacturing processes. This requires the consideration of multiple independent manufacturing processes that must function collaboratively to produce a high-quality product. It is important for drug makers and their packaging partners to come together earlier in the drug development process to ensure clear communication and effective collaboration. Sharing product knowledge, reviewing potential risks and outlining an effective QbD process in the initial stages of drug development can help to foster stronger alliances between drug manufacturers and their suppliers, leading to a more transparent process and a higher quality product. The QbD framework encompasses product and process understanding throughout a pharmaceutical product’s lifecycle. Specific recommendations for drug development, manufacturing and continuous improvement are captured in the International Conference on Harmonization technical guidelines: Q8 Pharmaceutical Development, Q9 Quality Risk Management and Q10 Pharmaceutical Quality Systems. The model is built on lifecycle stage goals and quality elements, which are evaluated according to the level of risk to drug product quality and patient safety. According to Q8, the drug development summary should highlight the evolution of the formulation design from initial concept to final design and take into consideration the choice of drug packaging components. Materials selected for primary packaging should be characterised and chosen according to suitability for use. Attributes should include physical, functional and chemical characteristics that might pose risks to drug product potency, degradation, pH, absorption/adsorption, precipitation, discolouration and purity. Q9 decrees that the evaluation of risk should be based on scientific knowledge and, ultimately, link to the protection of the patient. Q10 outlines the quality aspects relative to the goals for four stages in science-based decision making: pharmaceutical development, technology transfer, commercial manufacturing and product discontinuation. Each stage has specific factors for consideration that are intended to promote the lifecycle approach to product quality in terms of process performance and product quality monitoring, corrective action and preventive action, change management and management review of process performance and product quality. As a first step in initiating QbD processes, it is critical to understand the unique traits of the product that is to be developed. To this end, a Quality Target Product Profile (QTPP), which forms the basis for drug product formulation and process development in a QbD framework, must first be constructed. monitor and track critical data for continuous improvement. The careful assessment of attributes and parameters throughout the drug product lifecycle can help to reduce end-of-line rejections and facilitate overall compliance while, at the same time, helping to ensure a reliable and adequate supply. To maximise the QbD return on investment, it is important to understand the Total Cost of Ownership (TCO); that is, the analysis of price, risk, quality, service and delivery performance in evaluating the overall cost of a product versus its benefit. Reducing end-of-line rejections is an example of how the pharmaceutical manufacturer can clearly recognise benefits from TCO. QbD can often dramatically lower end-of-line rejections to very minimal rates and generate significant cost savings by enabling more product to go to market for patient use. This, in turn, can reduce the probability of product shortage and can help to manage capital expenditures more effectively. Container closure systems represent another area wherein a TCO model can support QbD initiatives. Although drug packaging is often a final consideration in the drug development process, the selection of appropriate primary packaging components is critical to drug stability and the effectiveness and compliance of a commercial manufacturing process. The importance of high-quality components and sterile packaging must be well understood to provide significant benefits to the overall container closure or delivery system. This need is a key driver for the adoption of QbD for primary packaging materials such as elastomeric stoppers used for vial closures and plungers used in prefillable syringe systems. By partnering with packaging suppliers that adhere to QbD principles in the design and development of container closure systems, pharmaceutical manufacturers can help to minimise risks such as particulate contamination that may impact a drug’s safety, efficacy and, ultimately, TCO. 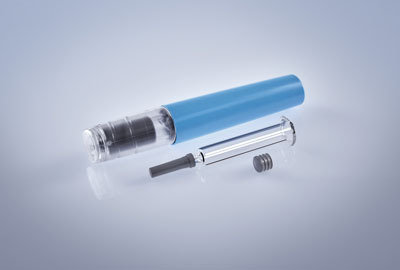 Risk Mitigation: The use of clean, high-quality components with injectable drug products can lower the risk of particulates and leachables, helping to reduce patient risk and ensure the drug and its packaging meet strict standards for quality set by regulatory agencies. Manufacturing Efficiency: Employing a QbD approach early in the component manufacturing process can help to facilitate more efficient process control by significantly reducing variation from part to part, which can help to support a reliable supply of drug products. Improved Functionality: Using QbD principles can help to optimise breakloose and glide forces — aspects that are important to ensuring delivery system functionality as well as the consistency and rate of injections. 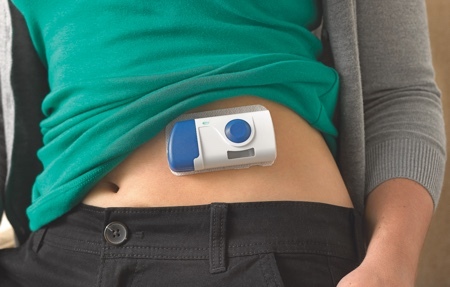 Patient Confidence: A self-injection system needs to function consistently and reliably for patients to have confidence that it will work. 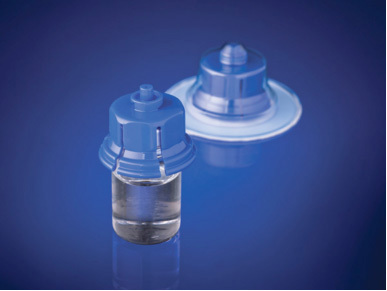 QbD-developed components specifically designed to accommodate the higher viscosity and larger dose volumes common with biologic therapies can help to enable safe, effective and reliable self-administration. Instituting and adhering to QbD principles in the design, development and manufacturing of drug packaging components can help to ensure that critical product quality criteria are consistently met. The knowledge gained throughout the QbD process can also be used moving forward to enable continuous improvement in manufacturing and design for future pharmaceutical products. By working with a packaging partner that employs a QbD philosophy, pharmaceutical manufacturers can employ high-quality packaging components that can help lower their total cost of ownership through reduced compliance risk, filling rejection rate and process costs. 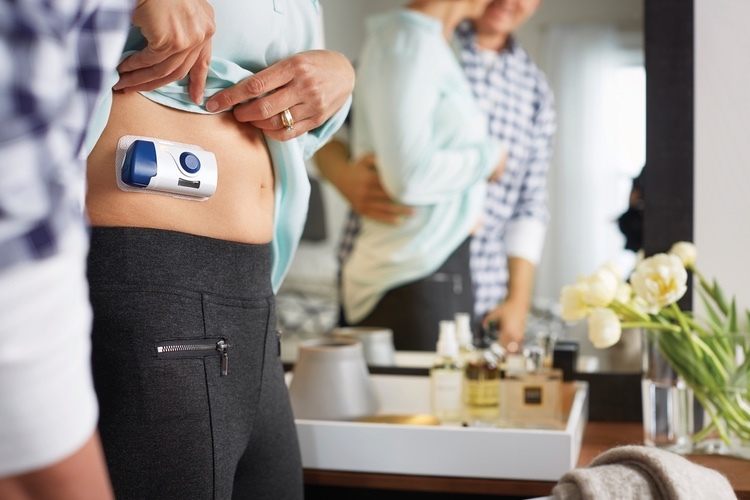 Additional return on investment can be realised once a drug product is commercialised and has gained patient loyalty through ease of use, therapeutic benefit and high confidence in the delivery device. Perhaps most importantly, though, components created through a QbD approach offer features that are designed to ensure the highest levels of quality and reliability, which ultimately helps the pharmaceutical industry to achieve its most critical goal: providing safe, effective drug products for patients.